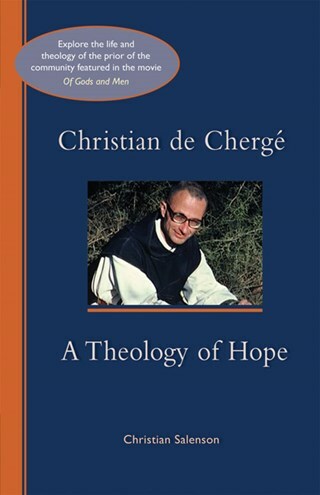 Christian de Chergé, prior of the Cistercian community at Tibhirine, Algeria, was assassinated with six of his fellow monks in 1996. De Chergé saw his monastic vocation as a call to be a person of prayer among persons who pray, that is, among the Muslim friends and neighbors with whom he and his brothers shared daily life. De Chergé's writings bear witness to an original thinker who insists on the value of interreligious dialogue for a more intelligent grasp of one's own faith. Christian Salenson shows us the personal, ecclesial, and theological foundations of de Chergé's vocation and the originality of his life and thought. He shows how the experience of a small monastery lost in the Atlas Mountains of Algeria contributes importantly to today's theological debates. Christian Salenson is a priest of the diocese of Nîmes, France. Former rector of the seminary of Avignon, he is today director of L'institut de science et de théologie des religions at Marseille. He has published Prier 15 jours avec Christian de Chergé (Paris: Éditions Nouvelle Cité, 2006). I highly recommend anyone interested in ecumenism or Christian and Islamic studies to read this book. Salenson weaves together not only a very good biographical story about Christian and his fellow monks but at the same time discusses how the Christian practices of prayer, lectio divina, eucharistic, sacraments, fasting, feasting, and almsgiving can be deepened by an openness to what Abbot de Chergé called 'radical hospitality' or 'friendship.' Today, as parts of the Church become more closed minded, more sectarian, more inward-looking, we need more words of wisdom from people such as Abbot de Chergé, who provide us with hope in this world which seems to lack hope. Christian Salenson has brought together a valuable and readable summary of de Cherge's vision for religious encounter with Islam. This vision is "from beginning to end a theology of hope," a theology written primarily in his life, with his brother monks and brother Muslims.